The federal government has stuck to their guns to support the reduction of home mortgage loans that they are willing to purchase. 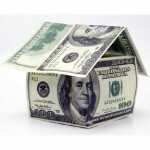 The new loan limits as of October 1, 2011 reduces the federal government’s stake in the mortgage market and revitalizes the role of private lenders. Fannie Mae and Freddie Mac will step in to buy loans for a maximum figure of $ 417,000. According to The U.S. Department of Housing and Urban Development , Florida has six city areas with a maximum loan limit higher than $ 417,000 for a one-family home. Included in this group is the Naples-Marco Island area where limits were previously set at $ 531,250 and have been reduced to $ 448,500. FHA loans have followed suit and new loan limit ceilings apply. For buyers purchasing a home with FHA financing in Naples the loan limit is set at $ 448,500 for a one- family dwelling. With these revised limits the natural course of action may be to look at the new realm of jumbo financing that begins where the Fed has bowed out. Under private lending standards, some buyers will face a new set of challenges which may include higher borrowing costs and the need for spotless credit histories. In effect there may be a lack of “standards” for some time as major banks, independent private mortgage bankers, local banks and portfolio lenders may originate and service their own jumbo loans. Some speculate that handing over the jumbo market to private lenders can be disadvantageous. The availability of private financing- by virtue of its source will be scarce at times. Though a watchful eye and a firm checks and balances system that is rooted in a private institutions’ bottom line will be necessary to regulate the borrowing tempo. It is capitalism for real estate! As this new chapter unfolds in the housing market saga we must be mindful of the bumps in this newly paved road, yet remember that the alternative crippled the U.S. and world economies because in part our friend “Accountability” was nowhere to be found. To access HUD’s calculation website that outlines lending limits by state and county Click here.